Swatch: Maybelline Angelfit Brighten Up Blush | Memorable Days : Beauty Blog - Korean Beauty, European, American Product Reviews. Yesterday I received a package from Kathi of Lotus Palace, check her blog out if you haven't ^_^. In the package were the products that I won from her giveaway ^_^! I received it within 10 days, which is very fast, thank you Kathi !!! 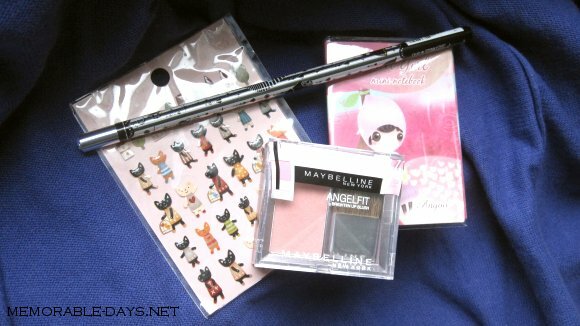 I have won a small notebook, a pencil, some stickers and a Maybelline Angelfit Brighten Up Blush ♥. 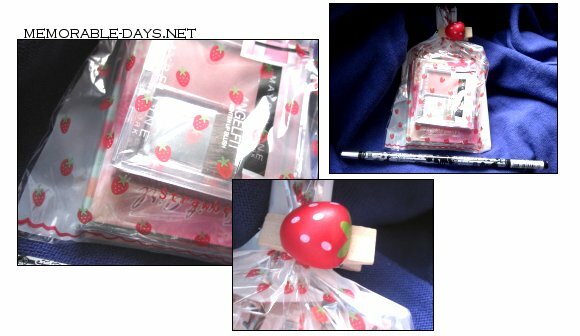 The packaging is so cuteee, there are strawberries on it, look at that clothespin - KAWAII NE ^__^!! 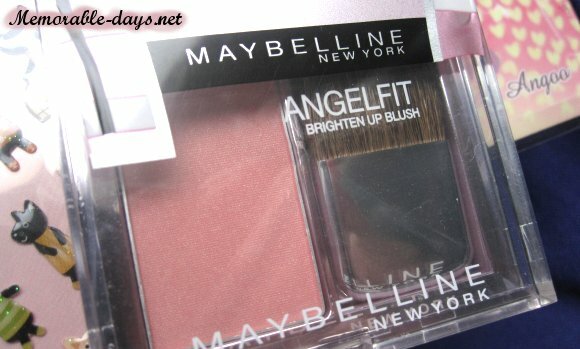 This is the Maybelline Angelfit Brighten Up Blush. It's from their Asia-exclusive line: Angelfit, which means that it isn't sold in Europe. The blush is only €4.70, which isn't expensive at all! You can buy it at sasa.com. The blush comes in a plastic case with a cheek brush and the color of the blush is - wooden rose. The cheek brush is so-so, it's not really soft and it's of cheap quality. I would rather use my own blush brush :). The colour goes on lovely and smooth and its sheerly pigmented. I like the color ^^ it has a natural pink/beige shade and a very slight shimmer which is not very obvious on the skin. 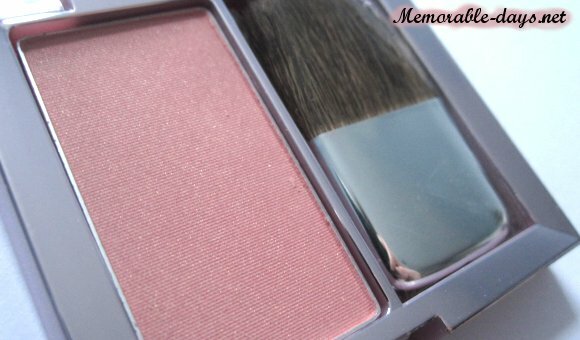 Overall, it's a good blush and especially for that price! Schattige spulletjes zeg, mooie blush! aww thosoe are super cute stickers! i've seen that blush all over stands in drugstores and i was intrigued! thanks for the quick review! aw, this is such a nice win. Maybelline is such a great brand! eee so many goodies, congrats! The stuff looks awesome ^-^"
The packaging is really cute. I agree that the brush is the only downfall of this product.